Update: Development of MobiOne has been discontinued. Read the End of Life Notice for more information. Today we're pleased to announce the release of Genuitec's popular iPad and iPhone app designer, MobiOne Studio 1.2. MobiOne is a simple, yet powerful tool for creating iOS (Apple) mobile Web apps that anyone can build, with little to no coding skills needed. MobiOne Studio comes with a world class iPhone and iPad emulator that gives users the most realistic experience of actually using those devices. Through common text messaging, users can even send their apps directly to any mobile device to review. 1. @dave204 @loris_sl Laura- I think you could have great fun with this drag-and-drop iPhone app developer. Very user-friendly!! 2. 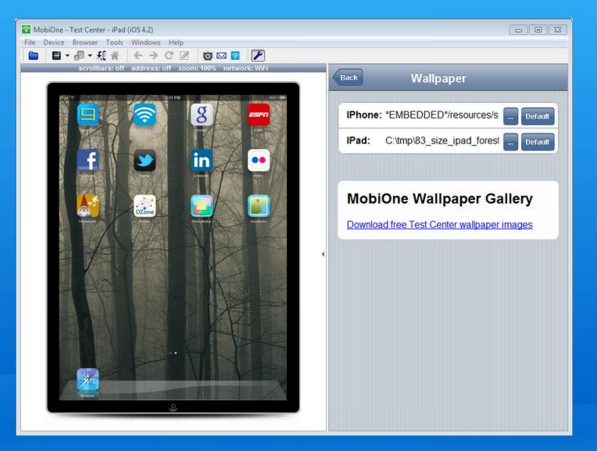 @zvikico @toddewilliams The MobiOne demo is very impressive. The offline mode works surprisingly well. Need to see it to believe it. Kudos! 3. @ykonos RT @3Goofy: Gotta love MobiOne iPhone emulator! Since summer 2009, MobiOne has been downloaded and used by nearly six hundred thousand designers and developers worldwide and is seen as a market leader in iOS emulation and app design. In the coming months, MobiOne will support design, testing and emulation of Android devices to give users true cross-platform support.